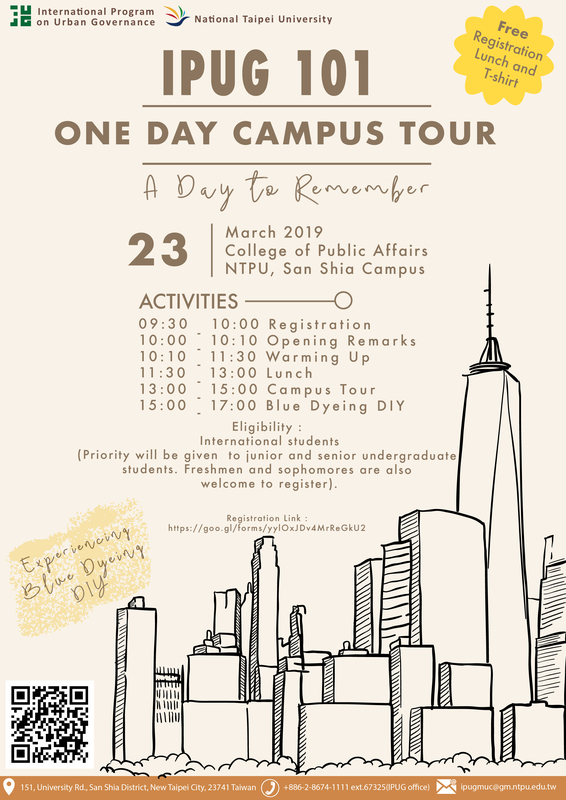 IPUG 101 is an one day event that will take you to experience a student life in the National Taipei University. The activities will also lead you to the entrance of urban governance. Moreover, there will be a traditional blue dyeing DIY in San Shia old street. And the best thing is that all the activities are FREE!!! Eligible for International undergraduate students. (Priority will be given to junior and senior undergraduate students. Freshmen and sophomores are also welcome to register). One of our student will instruct you the route in Yongning MRT Station. Please arrive at Yongning MRT Station by 9am.